Srinagar: Three militants were killed and five security force personnel were injured in an 18-hour-long encounter, which ensued on Saturday afternoon after forces launched a Cordon and Search Operation (CASO) in Srinagar outskirts. Meanwhile, authorities have suspended internet services in the summer capital, Srinagar, as a precautionary measure to prevent spreading of rumours. 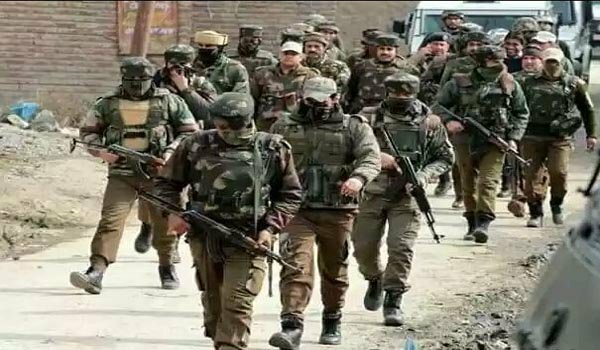 Official sources said following specific information about presence of militant, a joint CASO was launched by Rashitriya Rifles (RR), Special Operation Group (SOG) of Jammu and Kashmir police and CRPF at Mujgund in Srinagar outskirts. “All the exit points were sealed and house to house search operation was initiated,” they said. They said when security forces tried to move inside the damaged structure to remove the bodies, a third militant started to fire at the forces in the wee hours on Sunday. “The third militant, believed to be foreigner, gave tough time to forces as he was constantly changing locations,” they said.